1. 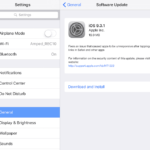 Update your device to the latest version of iOS software. This is a really simple process. You can update your iPad wirelessly, If your device is running iOS 5 or later. Simply tap Settings > General > Software Update to check for available updates. If an iOS update is available, you can tap Download to install. 2. Clear Safari history and cookies. To clear your history, tap Settings > Safari > Clear History. To clear all cookies, tap Settings > Safari > Clear Cookies and Data. 3. Clear Safari stored data. To clear other stored information, tap Settings > Safari > Advanced > Website Data > Remove All Website Data. This option is only available if your device is running iOS 5 or later. 4. Restart the iPad. Simply restarting your device may fix various Safari issues.Press and hold the On/Off (or Sleep/Wake) button until you see the red “slide to power off”, and then slide the slider.To turn back on, press and hold the Sleep/Wake button until you see the Apple logo. 5. Clear and disable Autofill (not all iOS versions have this feature, if your device is running iOS 5, then you have this). If you have it, clear and turn this off. Tap Settings > Safari > Autofill > Clear All. Also turn everything (Use Contact Info & Names and Passwords) off. 6. 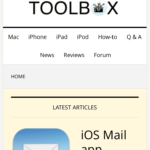 Turn iCloud Bookmark Syncing off. Tap Settings > General > iCloud >toggle Bookmark syncing off. 7. Go to Settings > Safari and turn on Private Browsing, then when prompted “Close all Tabs”. Then turn Private Browsing back off. I’ve noticed that many do not restart their mobile device enough. This should be done at least once a week. Call it a technology cleansing for your device. Works wonders to sort of reset any quirks that have crept into the device. I started doing on my iPhone and iPad and it does make it more reliable with less app crashes or other issues. Could you explain more what’s going on? If your iPad is shutting down while you’re in the middle of something, please update to the latest iOS by going to Settings > General > Software Update. There is a known bug in the earlier version of iOS which causes some devices to randomly reset, even when in use. Just make sure you backup your device before updating. If something else is going on, please give us some additional details. How about Apple writes a iOS internet browser (Safari) that doesn’t constantly crash wth normal and regular use? Ever think about that, Apple? Wow…. Some fix! Disable this, turn off that, reboot your iPad, blah blah. The only fix not listed is to wrap your iPad in aluminum foil. Thank you very much for this post and for your very clear instructions. My wife had a problem accessing her banking account today with our I Pad air because Safari kept crashing. I was unable to access the internet using safari also and had resort to using my desktop to carry out the transaction for her. Since then I have spent sometime trying to rectify the I Pad problem eventually asking for a solution on the net which was quite simple. I also decided to look up your site to see if the problem was a one off or what and find that it is a common fault. If it is a common fault why on earth have you not found a permanent solution to it. I’ve been searching for over a month for a solution. Number 6 fixed my problem. Thank you very much. At last! Thanks to the suggestions in this post I was able to track down my Safari issue. Been wresting with this for MONTHS on all my iOS devices. Safari started acting strange and crashing and then stopped working entirely. The instructions here led me to look in a spot I hadn’t previously when I was turning things off, deleting data, etc. Turns out it was the Favorites function. Settings > Safari > Favorites. There, hiding in my folders was a second Favorites folder at the bottom and this was the one selected. I clicked on another Folder in the list and voila! FIXED! I’ve been all over the internet trying to resolve this, even talked to a local Apple product store to see if they’d hear of this and/or fixed it. The guy knew nothing about it. The other day I even tried a full iPhone restore. Nothing. But now, thanks to Serhat’s article, I’m back online with Safari and can also update my APN settings in iOS 9. Happy Tuesday! I have changed my favourites to a new folder and it does know appear to be working well, so I see our long it lasts. After I have changed my favorites to another folder Safari works without all the reading twice or even more for eventually to crash. This has gone on long enough and gets worse with each iOS update! Come on Apple, fix it. Turning off auto fill, clearing cookies and info is NOT the solution. Worked like a charm #2,3,4. Thanks!!! Was just before buying a new iPad!! This has only started on my iPad since I updated to OS8. I am not sure what fixes to try, completely agree about turning off features that are supposed to be useful! This is absolutely stupid drivel about a serious problem with the ipad. I am fed up with Apple and with anyone who offers stupid and predictable advice like this! This reminds me of the old Microsofr days…poor quality control leading to poor product applications and frustrated users. Rather than providing a list of undesirable fixes, my suggestion to Apple is please fix it yourself. This means not even Apple knows why this happens! Oh brother. Don’t some of these fixes render the app less than optimally useful? Why in the world should we have to turn off useful features in order to use the app????? I agree completely. 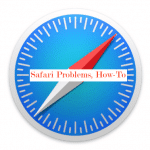 Is the problem with Safari? Fix the code. Don’t deprive users of wanted/needed apps and features. Does anyone remember “customer friendly”?